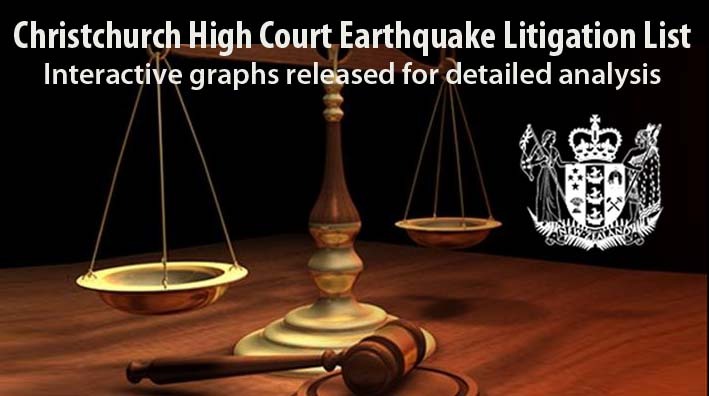 As we approach the first anniversary of our protest rally, and the sixth anniversary of the earthquake that changed all our lives in 2011, here are the latest earthquake litigation statistics from the Christchurch High Court as at 31 December 2016. After five years of discussions, arguments, requests for information, and endless unproductive meetings with the authorities, we would recommend that anyone who is still waiting for the settlement of their insurance claim should join the litigation queue. Remember also that the assurance given by certain insurers on 17 December 2015 not to use the Limitation Act as a defence will expire on 4 September 2017. Proceedings must be filed in court before that date, and legal preparations for filing can sometimes take months. The graphs are extremely informative. 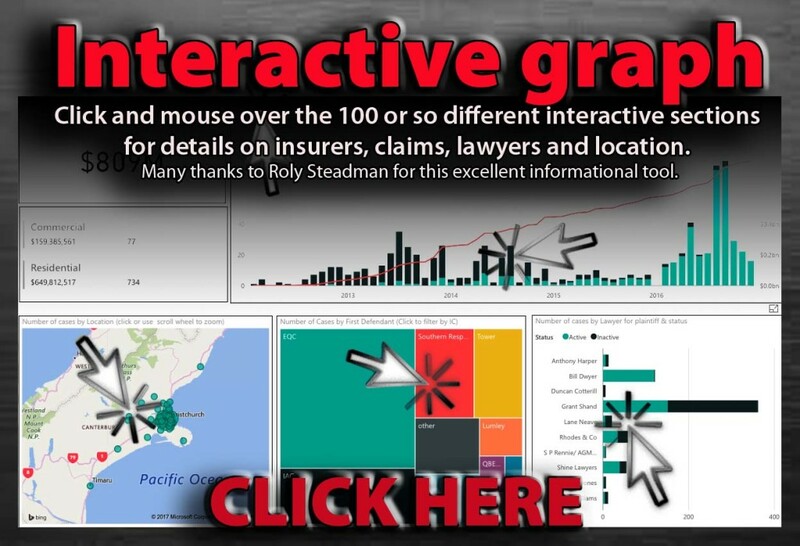 Click on different parts of the graphs to display various information.